Soar 150 feet high above the ground for a total distance of 400 meters. Feel the rush as the cool wind kisses your face. 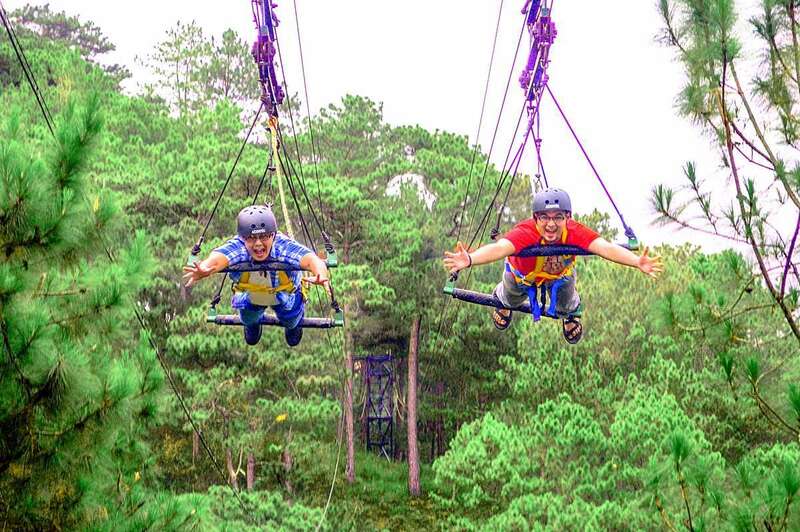 The Superman Ride is a crowd favorite in Tree Top Adventure Baguio. 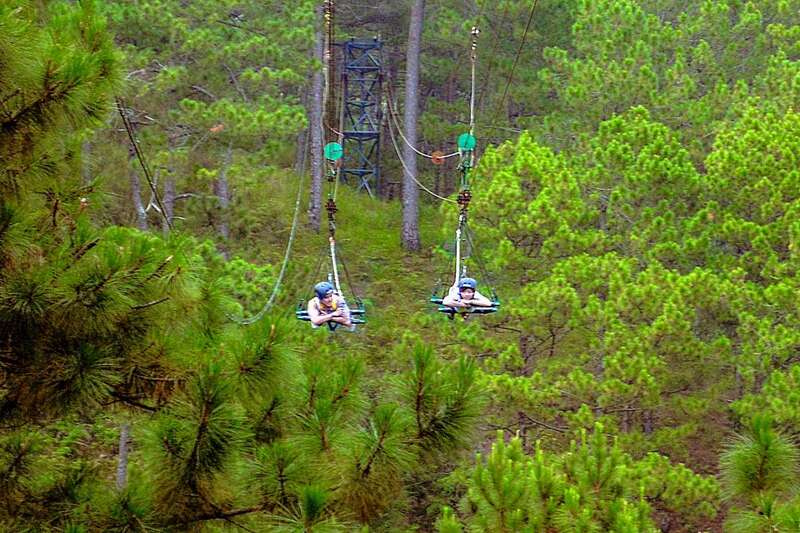 It’s not your ordinary zipline activity because it’s motorized. If you choose to avail of the Canopy Ride, along with the Superman Ride, then it will be easier for you to reach the platform where the ride is located. The Canopy Ride will take you to the zipline tower. But if you decide to just experience the Superman Ride, then you will have to walk to get there. Walking isn’t too bad because you’ll hardly break a sweat with the cool climate. When you reach the tower, you will have to climb the stairs to reach the ledge. With the safety gear on, you’ll have to climb up two metal bars until the facilitator can attach your harness to the cable. There are two metal bars wrapped in rubber mats. The metal bar at the back is for the legs and the one in front is for your arms. The harness and the two bars help you do that Superman position face down. The ride can accommodate two persons at a time. When you’re in position, the cable zip pulls you back towards the other end of the zipline for a distance of 200 meters. Being pulled back was scarier because I couldn’t see where I was headed. When you reach the end point, the cable zip stops and starts pulling you back to the tower. That’s 200 meters again. Now that the wind was against my face, it was suddenly freezing cold! It was fun and I got a glimpse of the scenery below. I tried to look straight ahead for my picture to be taken by my friends at the tower. Remember to stretch your arms forward to make that Superman position. Having the metal bar in front gave me comfort. I just wrapped my arms around it for security. Flying back to the tower gave the best feeling. The speed was nine meters per second. The whole activity takes about two minutes.